Prime Minister Jacinda Ardern spoke to media during a press conference at Parliament on March 21 in Wellington, New Zealand. The man charged in the attack had purchased his weapons legally using a standard firearms license and enhanced their capacity by using 30-round magazines ‘‘done easily through a simple online purchase,’’ she said. ‘‘Every semi-automatic weapon used in the terrorist attack on Friday will be banned,’’ she said. In a post on Facebook, Christchurch United Football Club Academy Director Colin Williamson described Omar as ‘‘a beautiful human being with a tremendous heart and love for coaching.’’ Linda Armstrong, 64, a third-generation New Zealander who converted to Islam in her 50s, was also buried, as were Hussein Mohamed Khalil Moustafa, 70, Matiullah Safi, 55, and Haji Mohammed Daoud Nabi. ‘‘The support we have been getting from New Zealand and the community has been amazing,’’ he said. 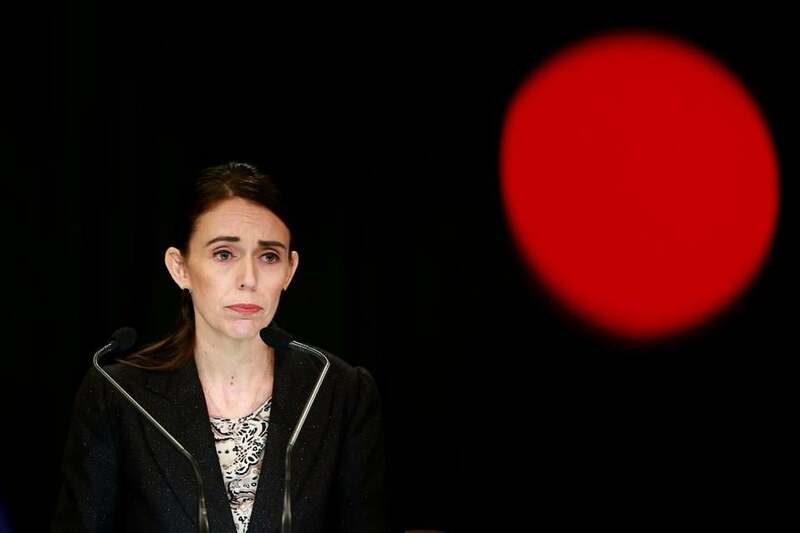 As the investigation continues into the attack, Ardern has also said an inquiry would look into intelligence and security services’ failures to detect the risk from the attacker or his plans. Ardern said Thursday the government is working on a large-scale buy-back plan to encourage owners of now-banned weapons to surrender them. ‘‘For other dealers, sales should essentially now cease. My expectation is that these weapons will now be returned to your suppliers and never enter into the New Zealand market again,’’ she said.